Most trips to Lake Baikal will start in Irkutsk, the main gateway to the region and an important economic center of Siberia. 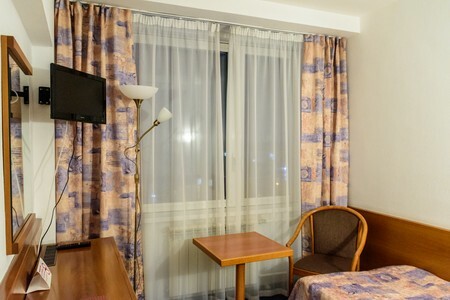 Let´s discover together the many attractions that this city offers. 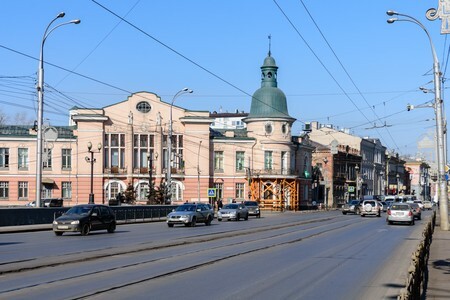 Irkutsk is located in southern Siberia, not far from the border between Russia and Mongolia, along the banks of the Angara river, and is one of the most important economic centers of Siberia. 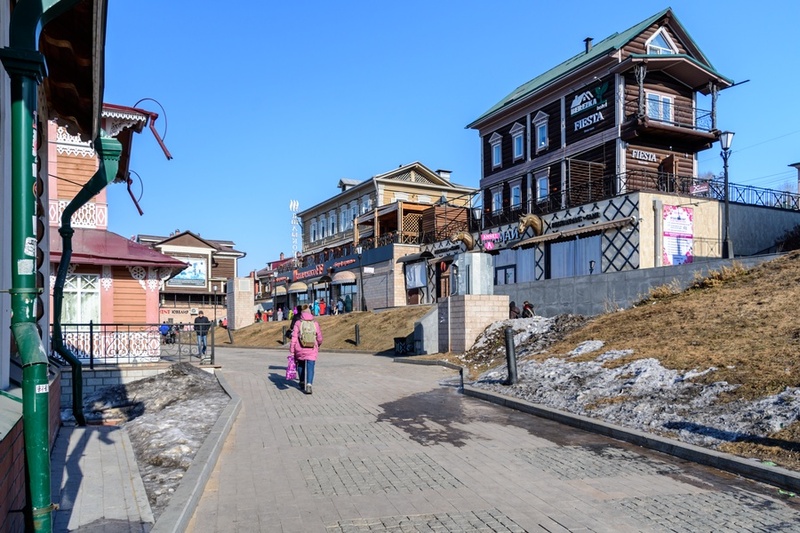 The proximity of the city to Baikal lake, just 50 kilometers away, makes Irkutsk also the main gateway for those who want to visit the region. 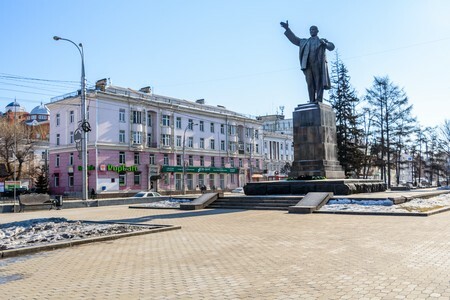 Irkutsk can be reached from Moscow in just 6 hours of non-stop flight and direct flights are also available from other cities of Siberia, such as Novosibirsk and Krasnoyarsk. 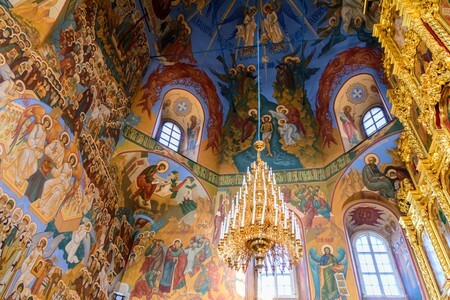 Recently, several international flights are also being added like onto Seoul, Bangkok and Guangzhou. 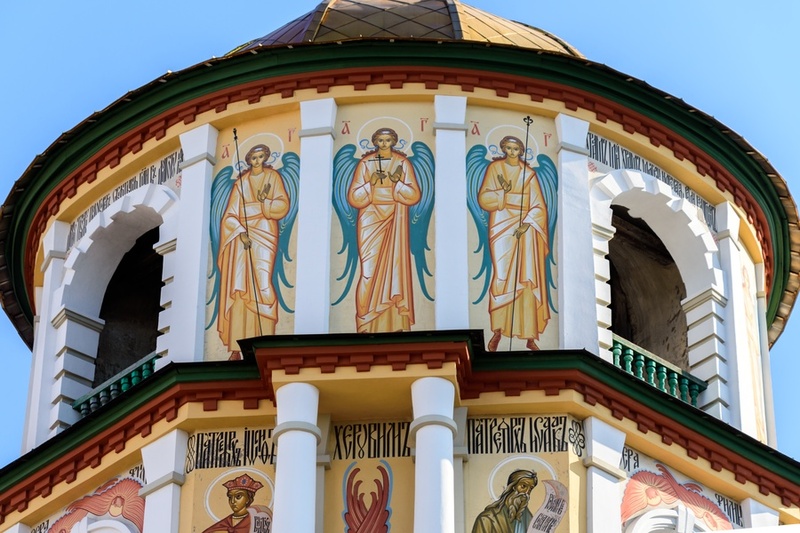 Instead, for those wishing to experience a long trip on the Trans-Siberian railway, daily departures from Moscow are available for a journey time of around 100 hours (or slightly less from Vladivostok). 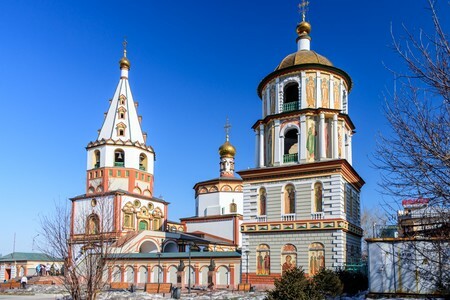 One full day is usually enough to visit Irkutsk: visitors may therefore take advantage of the spare time available before or after a trip on Lake Baikal. So let's see which are the main tourist attractions in Irkutsk and the things not to be missed. 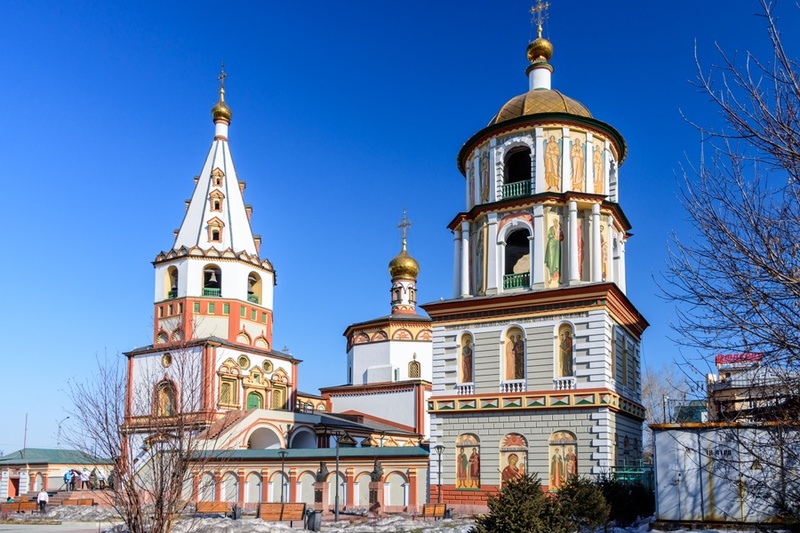 Epiphany Monastery - The Epiphany Cathedral in Irkutsk (Epiphany Monastery) is one of the most beautiful Orthodox cathedrals in the world, with beautiful decorations both inside and outside the building. 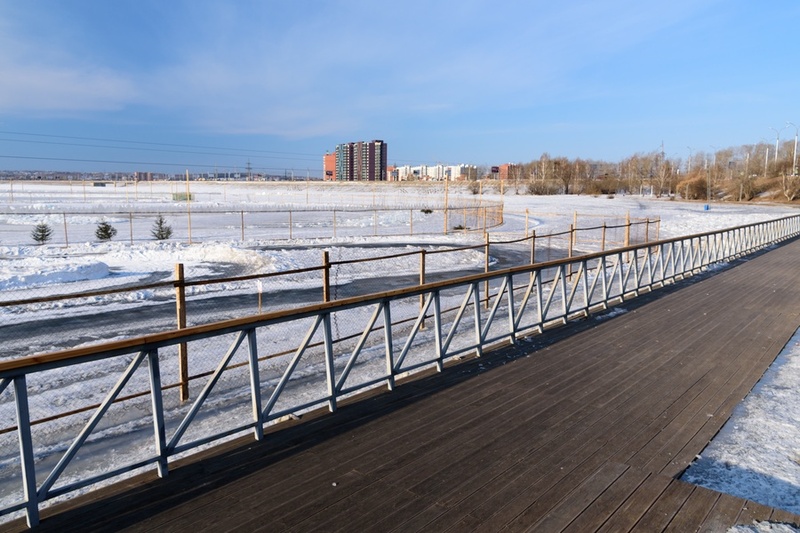 It is located not far from the city center, near the northern banks of the Angara River (Sukhe-Batora St., 1A). 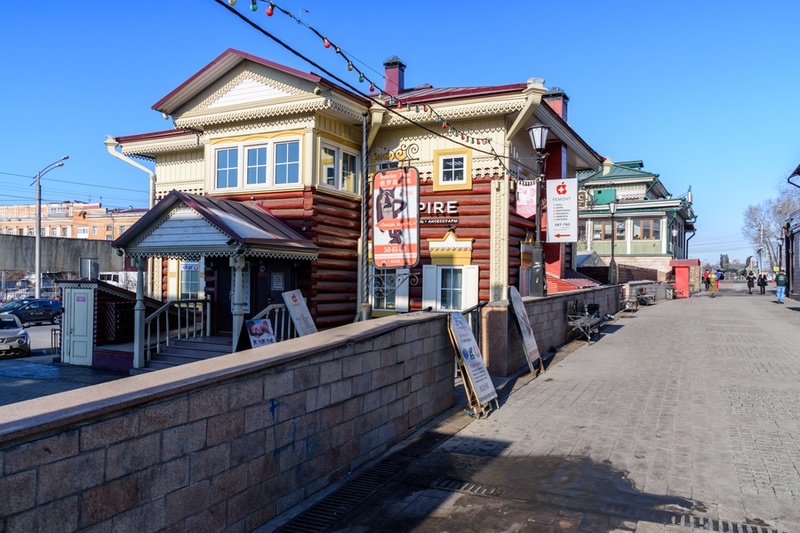 Kvartal old houses - Visitors will find here several restored historic houses, built with wooden logs in traditional Siberian style. 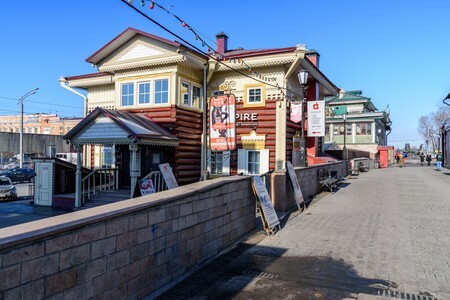 In the buildings we can find different shops, bars, and restaurants (Kvartal 130). 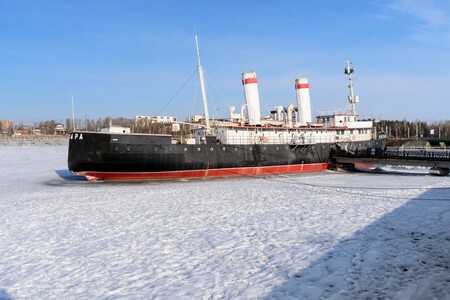 Angara Icebreaker Museum - Just outside the center of Irkutsk and near a dam on the Angara River, easily accessible by bus, an icebreaker dating back to the early 20th century houses a small museum dedicated to navigation in Baikal lake. During the colder winter months, not far from the ship trapped in the frozen river, visitors will find huge ice sculptures and an ice rink (pr. 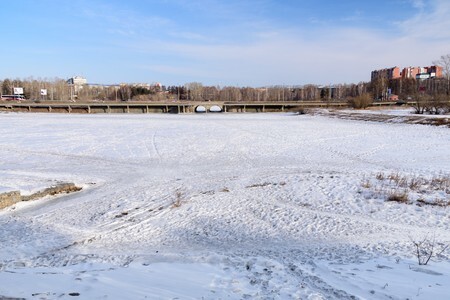 Marshala Zhukova, 36А). Holy Cross Cathedral - The Holy Cross Cathedral is located very close to the historic district of Kvartal and is one of the first buildings that was built using bricks rather than wood, in the mid of 18th century and in the Baroque style (Sedova St., 1). 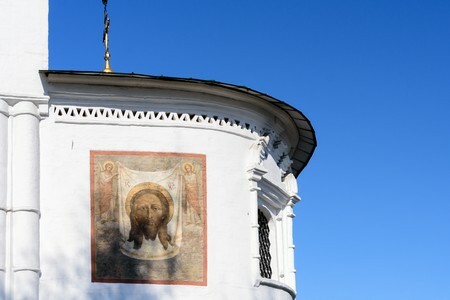 Moscow Gate - Recently rebuilt, the Moscow Gate is so called because oriented exactly towards the Russian capital. It is located in the center of Irkutsk, not far from the banks of the Angara River (Moskovsko-Laninskaya St). Znamensky Monastery - Originally built in 1689 using wood, this monastery has been recently restored. 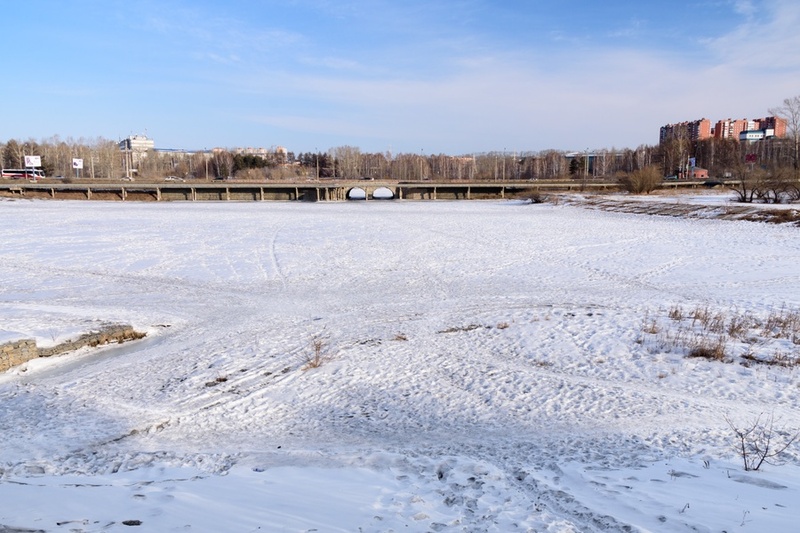 It is one of the main sites of Christianity in Siberia and is located along the banks of the Angara river in the northern part of Irkutsk (Angarskaya, 14). 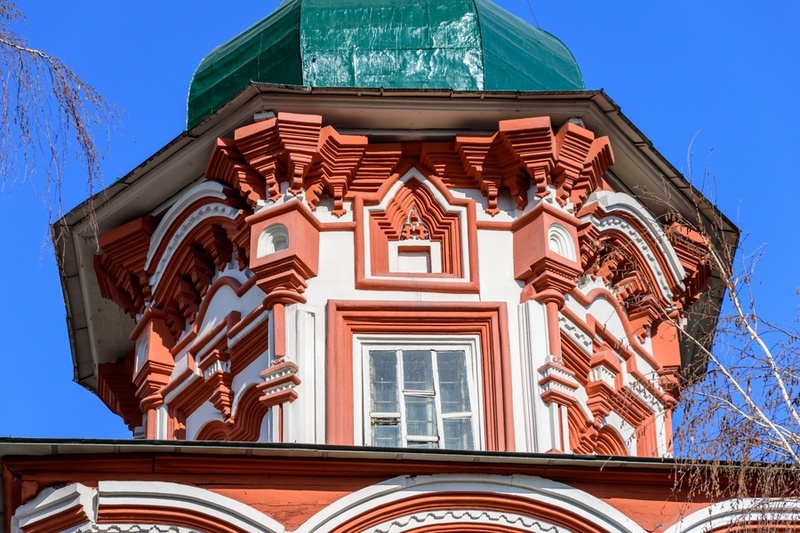 Cathedral of Our Lady of Kazan - A beautiful red facade with blue domes characterizes this church dating to the 19th century and built in Byzantine style. 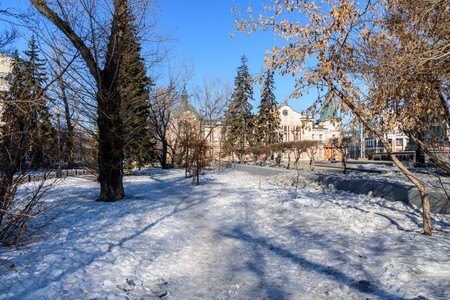 It is located in Irkutsk at Barrikad St, 34. Eternal Flame - Inaugurated on May 8th, 1975, the Eternal Flame is a memorial dedicated to the soldiers of the Soviet Union who died in combat during World War II (Ulitsa Polskikh Povstantsev St.). Savior Church - Also called Spasskaya, the Church of the Savior is characterized by an elegant frescoed facade and by interiors decorated with numerous paintings. 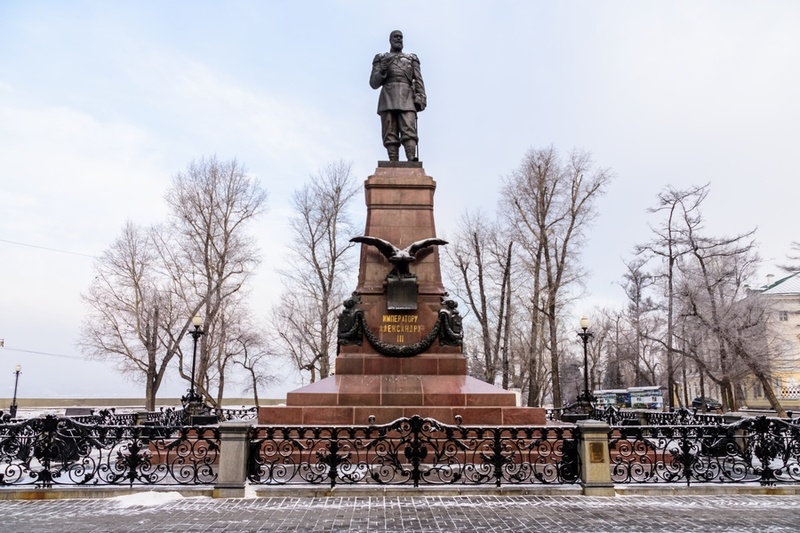 It is located next to the monument of the Eternal Flame. 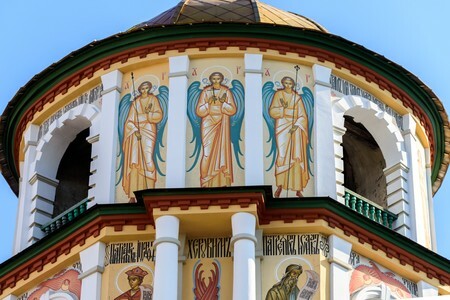 Baikal Lake - The main tourist attraction of the region, and one of the most important in whole Siberia, is located close to Irkutsk: in this travelogue you will find numerous pages talking about Baikal Lake. 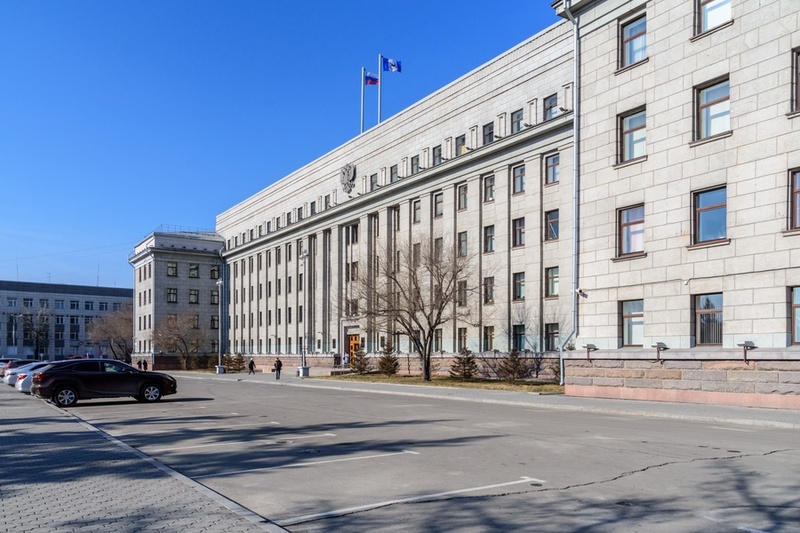 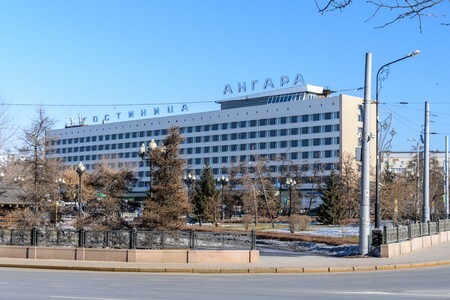 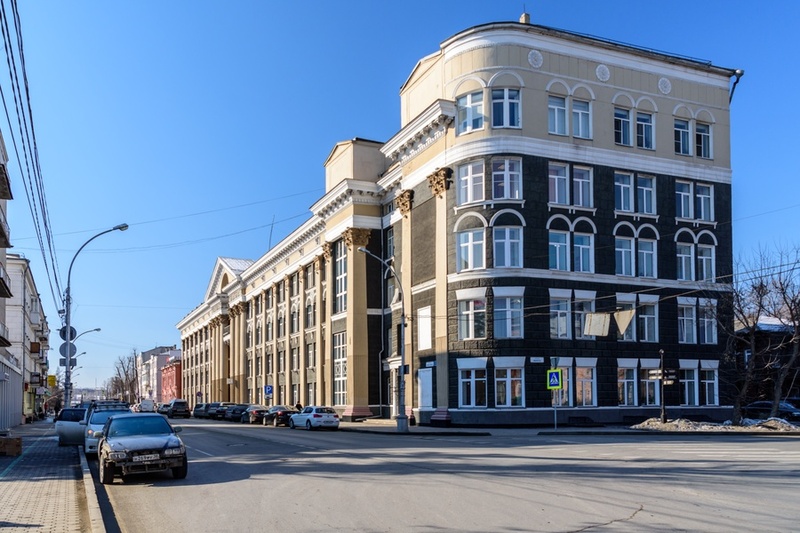 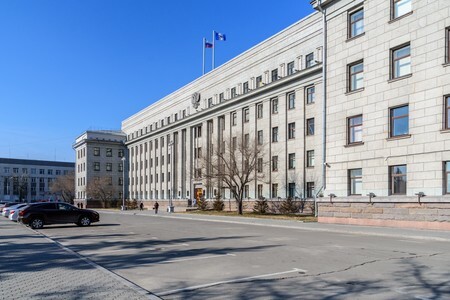 Most of the listed attractions are located in the center of Irkutsk and can be reached on foot from the main hotels, such as the Angara hotel here reviewed. 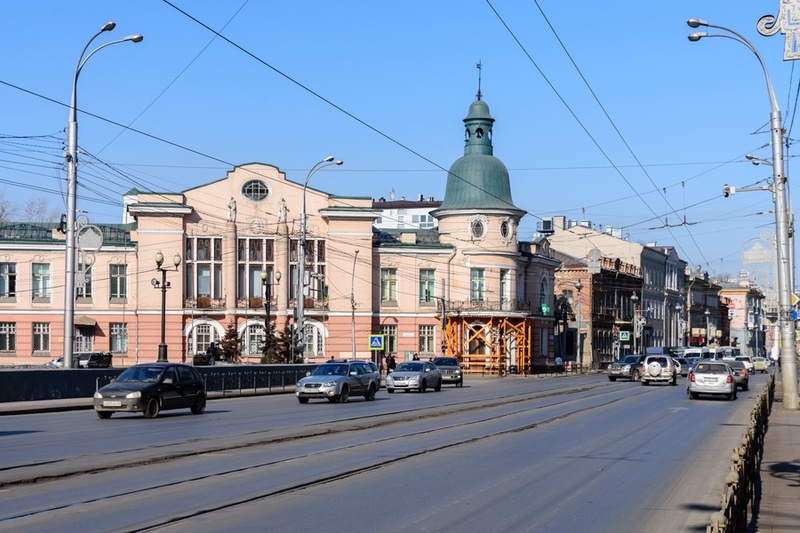 In any case Irkutsk has an excellent network of trams and buses that serve every corner of the city: there are no tickets but the driver is paid directly at the end of the ride and fares are very cheap. 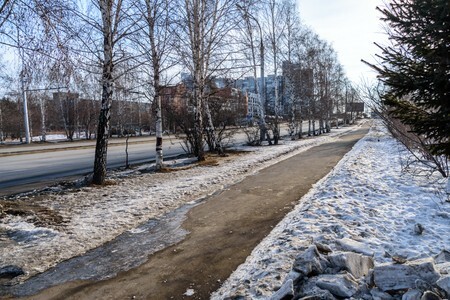 But now let's see some Irkutsk photos. 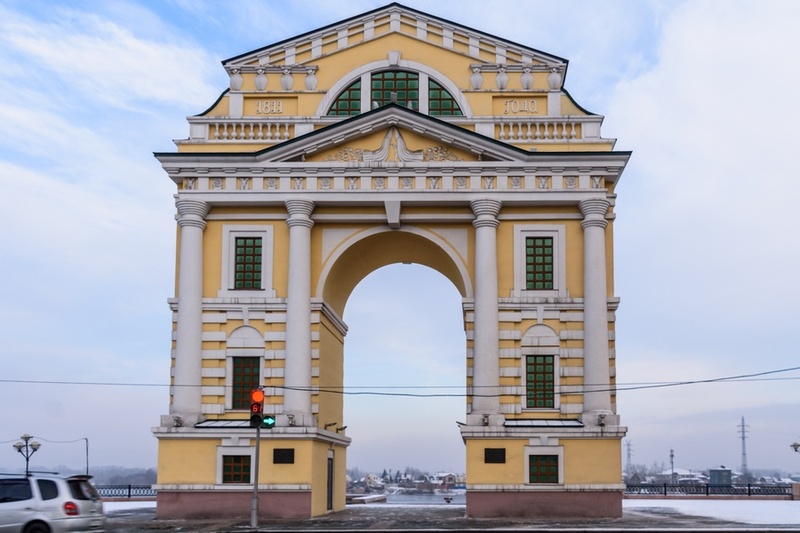 Our sample tour in Irkutsk begins by visiting the Moscow Gate, so called as the structure is oriented exactly towards the capital of Russia. This arch was originally built in 1813 in honor of Alexander I, but was later demolished in 1911. Only in 2011, on the occasion of the 350th anniversary of the founding of the city, it was completely rebuilt. 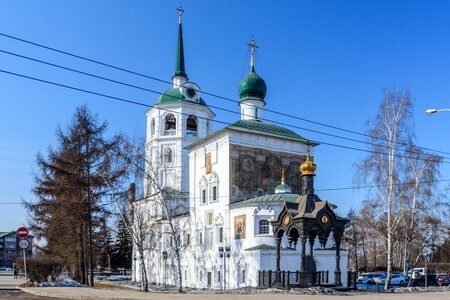 Not far from Moscow Gate, in the center of Irkutsk, visitors will find the amazing Epiphany Cathedral, one of the most beautiful Orthodox churches in whole Siberia and perhaps in the world. 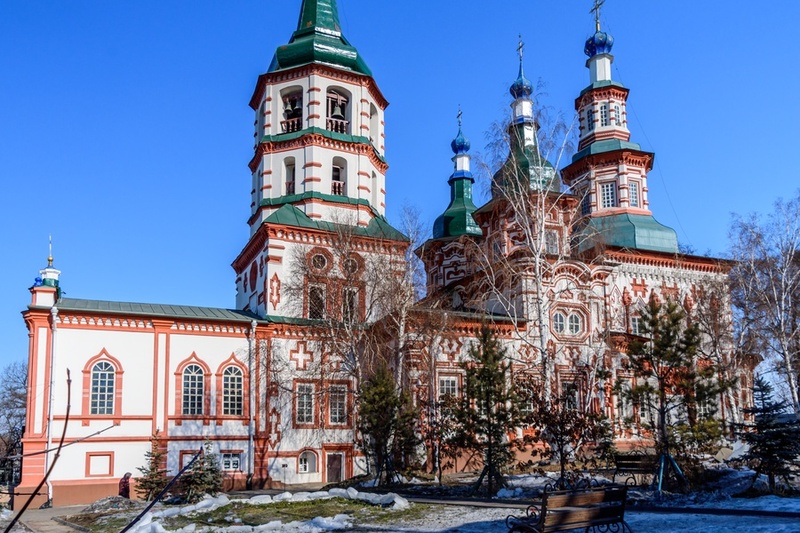 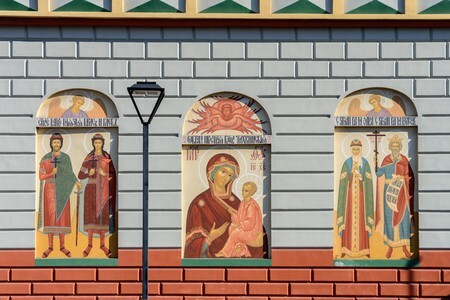 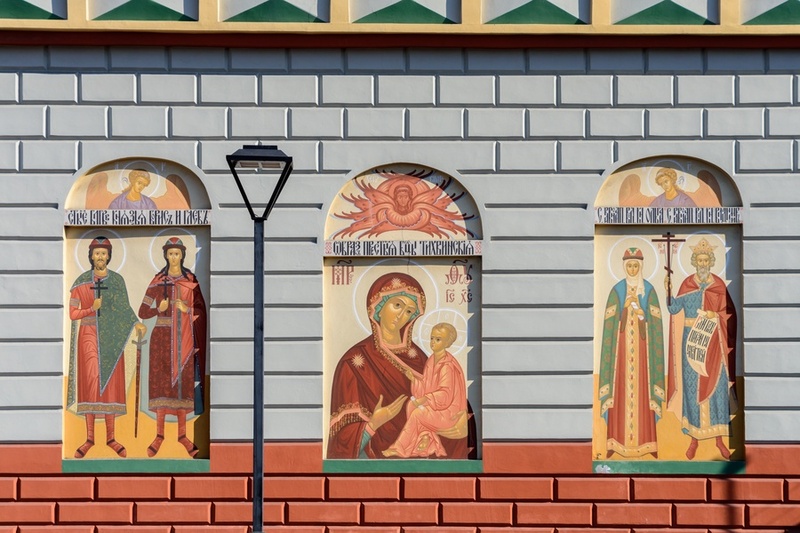 Externally the monastery has a beautiful facade rich in frescoes and with brightly colored decorations, an attraction not to be missed when visiting Irkutsk. 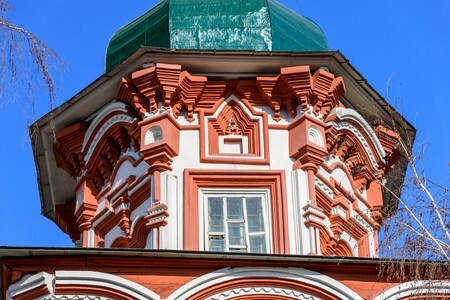 It was originally built in 1693 using wood, but was destroyed by fire shortly later and then rebuilt by bricks in 1718. 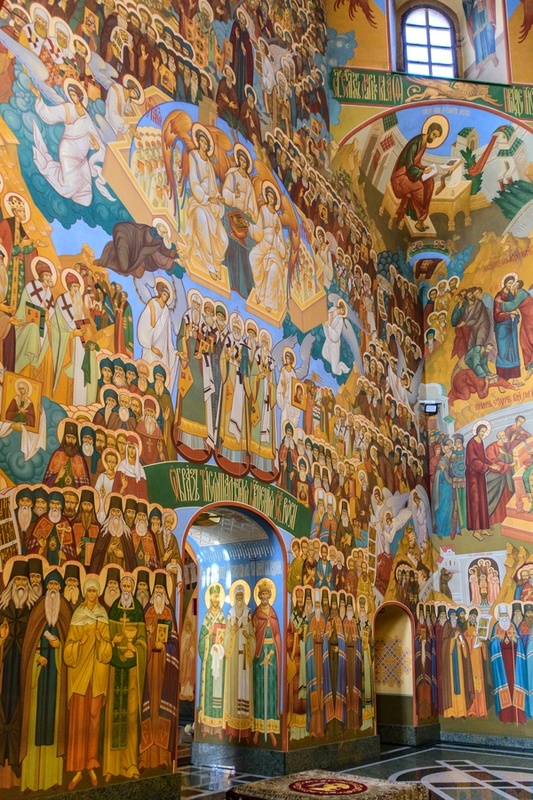 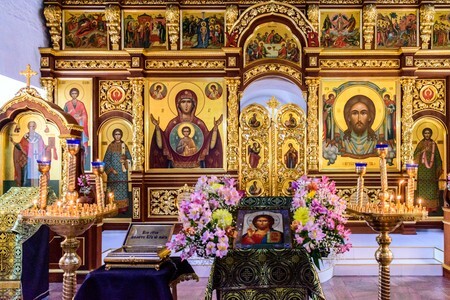 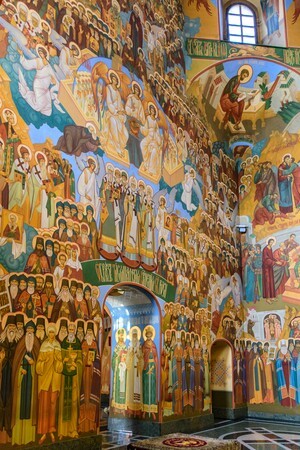 The interiors of Epiphany Monastery are completely frescoed and decorated with over 300 paintings, in a style that combines Baroque style with that of ancient Siberia. 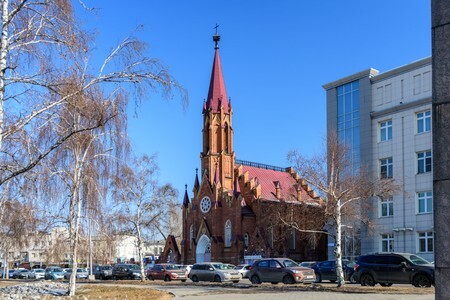 In the immediate vicinity of the Epiphany Monastery there is the Catholic Church of Our Lady of the Assumption, built during the 17th century by the Polish community, currently used not as a church, but for events and concerts. 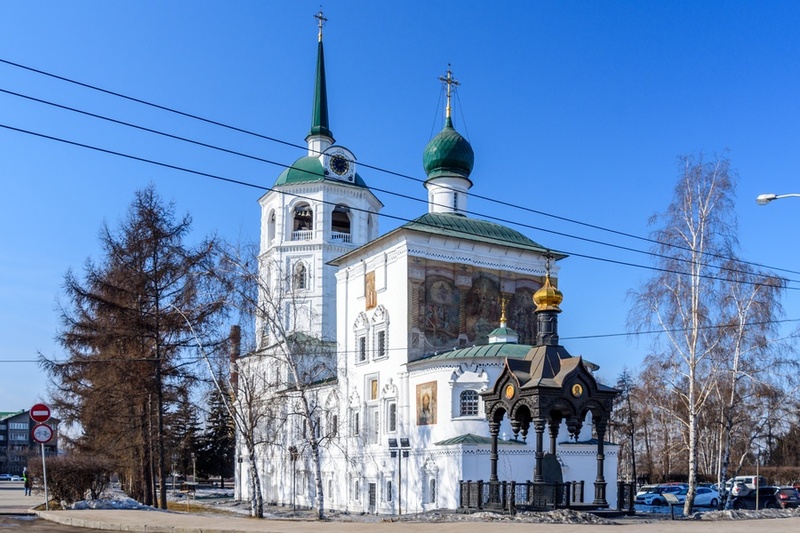 The Savior Church is located a few steps from the Epiphany Cathedral and its construction began in 1706. Currently it is presented in white stone with a delicate baroque finish and decorated by frescoes on its facade. 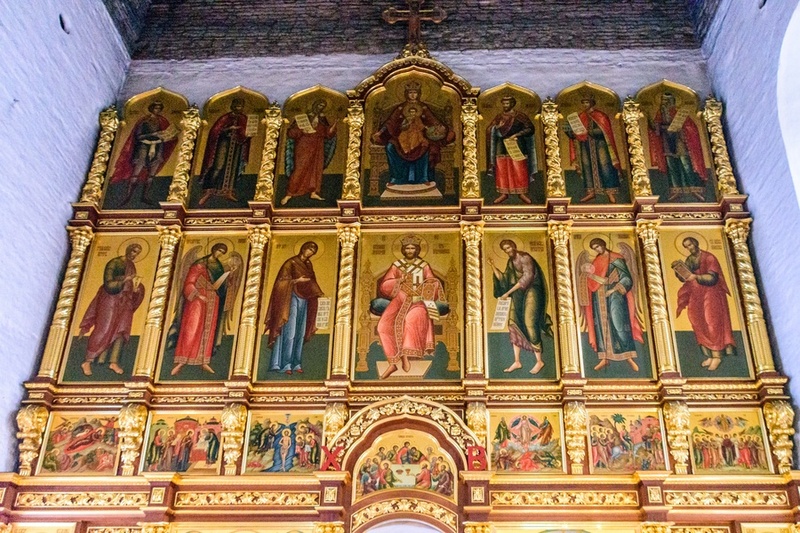 Internally it has an altar with a large wall covered by numerous icons. 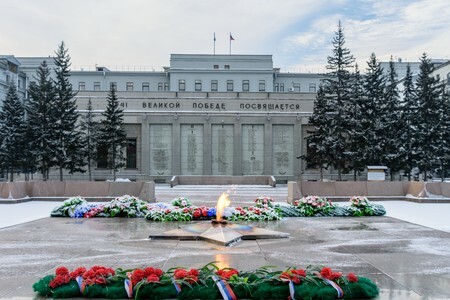 Behind the Savior Church, a large government building (one of the largest palaces in whole Siberia) makes a backdrop to the Eternal Flame, a monument dedicated to soldiers died during the Second World War. 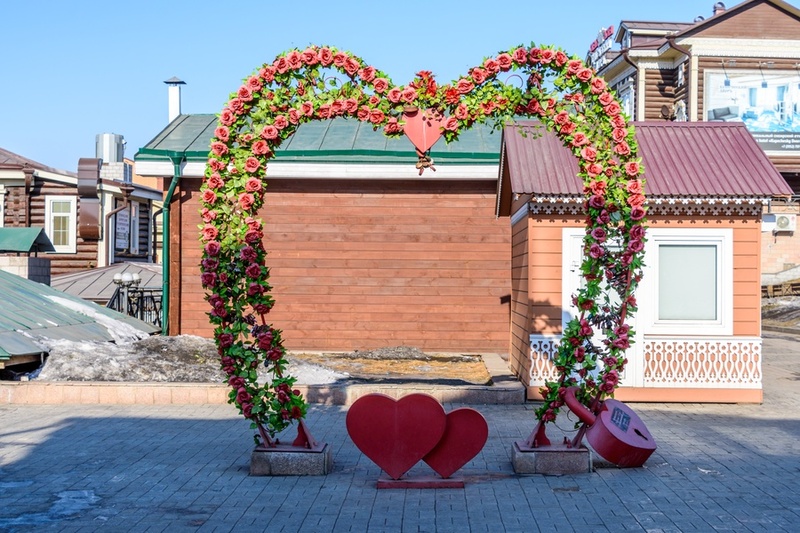 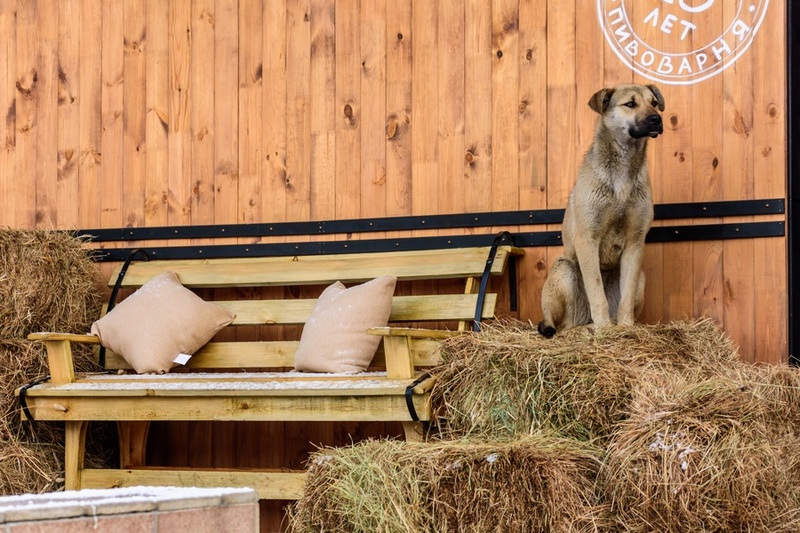 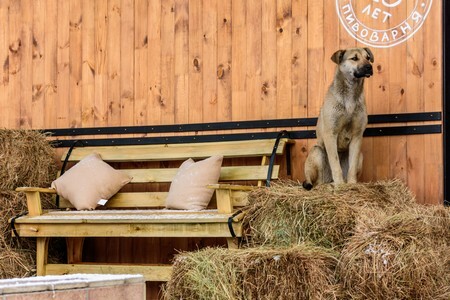 The picturesque district of Kvartal 130, in the historic center of Irkutsk, is home to several buildings over a century old and recently restored, built in the traditional Siberian architecture using whole logs for the walls. 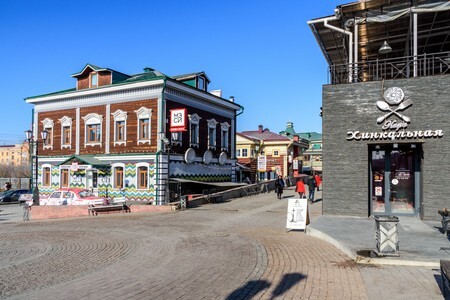 These buildings house shops, bars and restaurants. 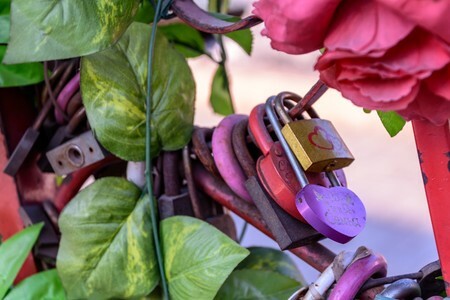 Inside the Kvartal district we find the Love Arch, where couples promise eternal love by applying a padlock to this curious structure. 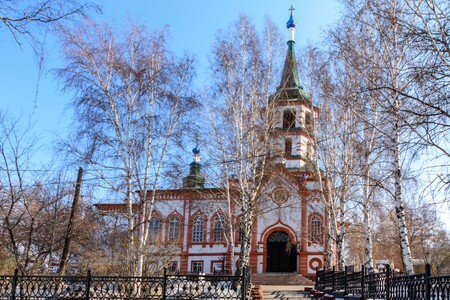 In front of the historic district of Kvartal we find the Holy Cross Cathedral, one of the first buildings in Siberia built by bricks and dating back to the mid of 17th century. 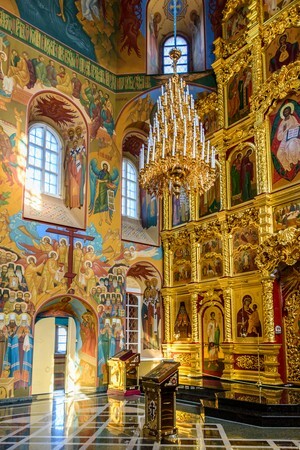 The facade has decorations in Baroque style, while inside there are numerous paintings and frescoes. 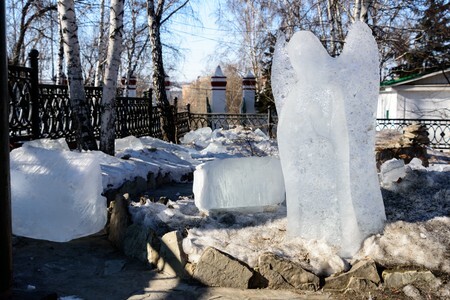 During the winter, small ice statues representing angels are displayed in the surrounding garden. 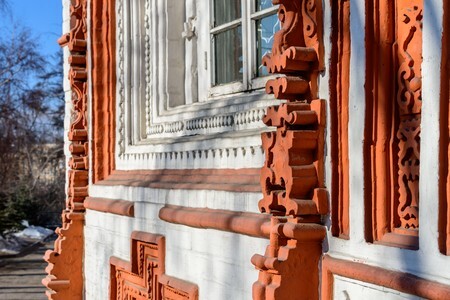 Irkutsk is a nice and pleasant city, where modern buildings find space among the most classic ex-Soviet style palaces. 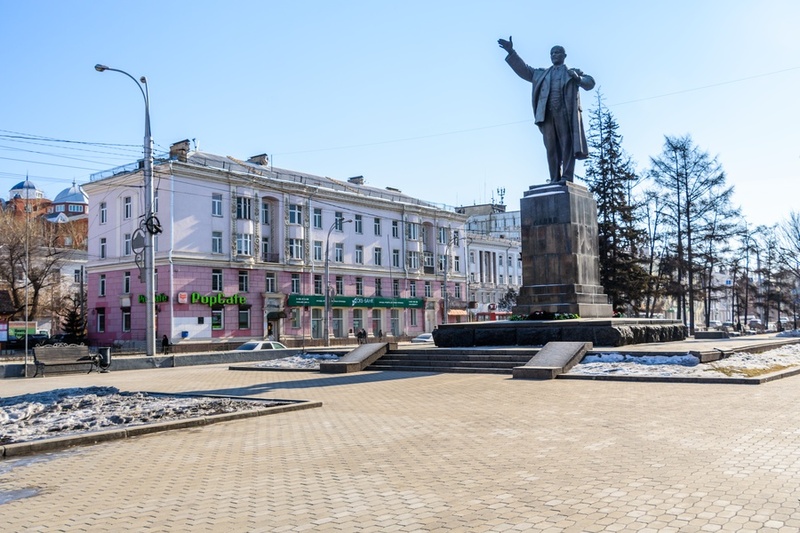 There are also large squares, like this one that houses a large statue of Lenin. 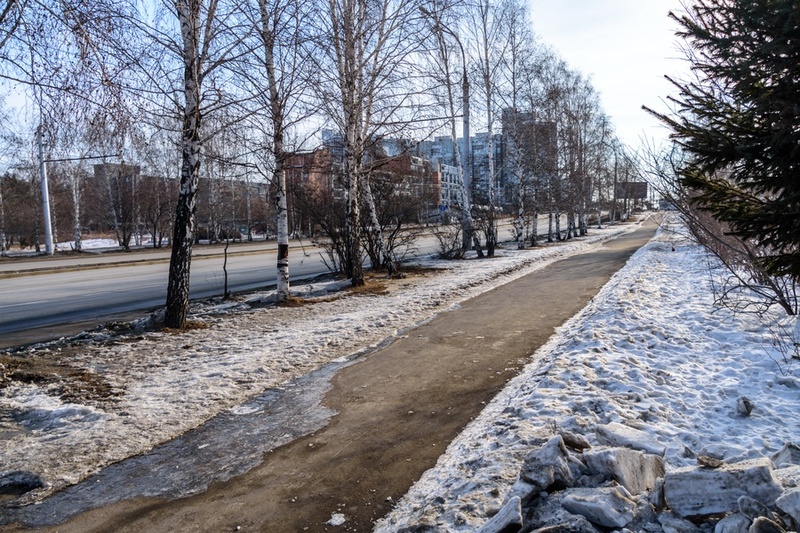 In Irkutsk there are also plenty of green areas and cycle paths among birch and cedar trees. The statue Alexander III of Russia, erected in his honor for his decision to build the Trans-Siberian railway passing through Irkutsk. Further away from the center of Irkutsk, but easily accessible by various buses, we find a dam on the Angara river and the historic Angara Icebreaker dating back to the beginning of the last century, now transformed into a museum dedicated to navigation on Lake Baikal. 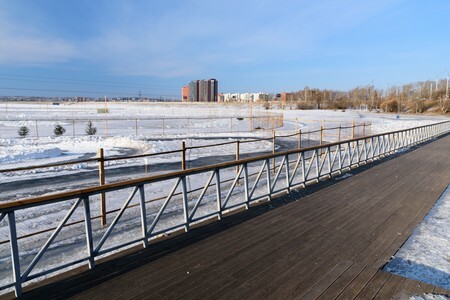 During the coldest months, generally until mid or late February, the adjacent park hosts a beautiful skating rink and a series of sculptures made by ice from Angara river. 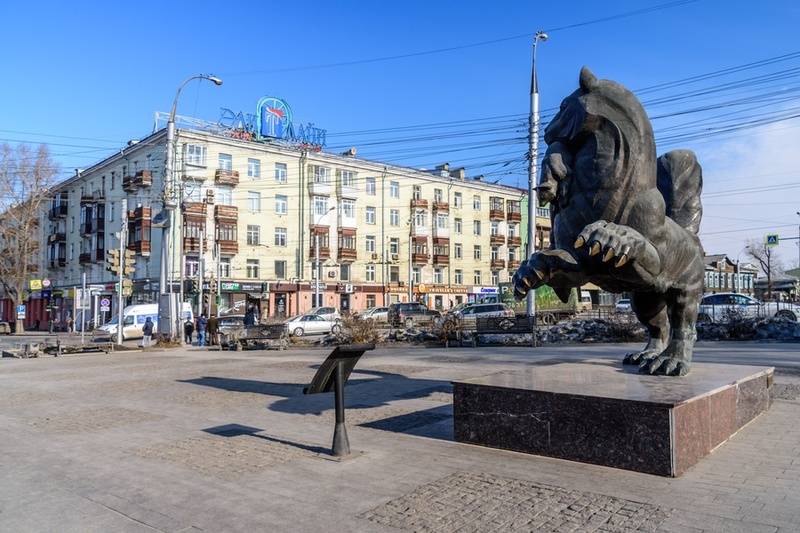 Where to stay in Irkutsk? 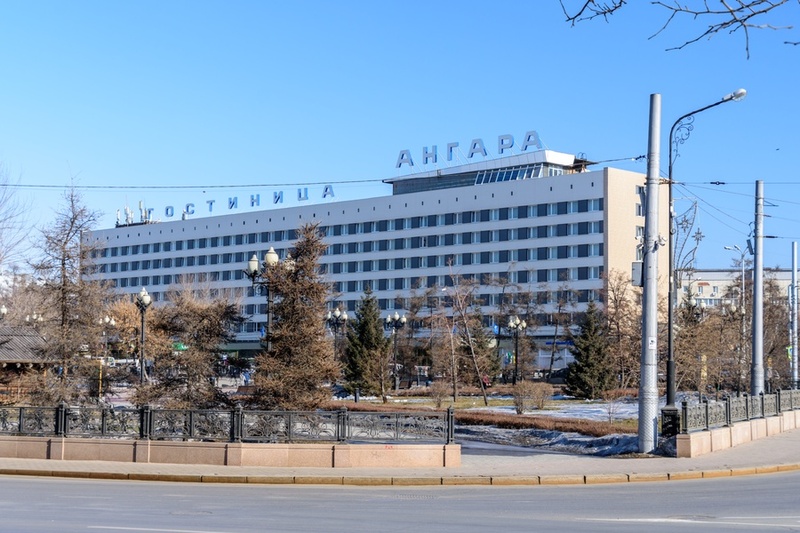 As accommodation in Irkutsk, we suggest the Angara Hotel, a cheap 3-star structure, but with excellent service and located right in the center of Irkutsk near most of the attractions. 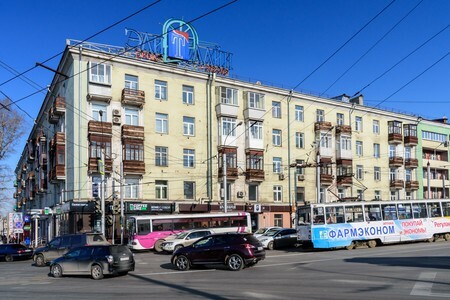 The hotel is also close to the main bus stops, including the bus that connects the city with the airport and the railway station.